It's won't be long until South American apple and pear imports begin to arrive in the United States. California-based organic specialist Viva Tierra is preparing for the arrival of its first organic apples and pears of the season from the southern hemisphere in a matter of weeks. The company has been specializing in organics for over 30 years. "Viva Tierra has been supplying and marketing organic produce since 1984," said Paul McCaffrey. "We were one of the first companies to import organic fruit from South America back in 1994. Viva Tierra works with growers all over California and Washington in North America. For our South American program, we have growers in Argentina and also throughout Chile. We also run our own orchard in Chile." The company is currently still shipping fruit from Washington, but the new season crop from Argentina and Chile is just around the corner. McCaffrey said that Viva Tierra's aim is to supply fresh crop organic fruit year round. "Green and red Bartlett pears will be arriving into Philadelphia and Long Beach around March 1," he shared. "Our goal is to have a steady supply of fresh organic apples and pears year-round. Therefore, we follow the seasons and ensure we always have a fresh new crop of organic fruit available any time during the year." One of the pear varieties that Viva Tierra supplies is Abate Fetel. 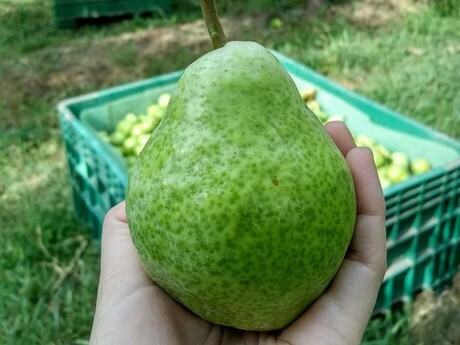 This pear has green to yellow coloring and an elongated shape. 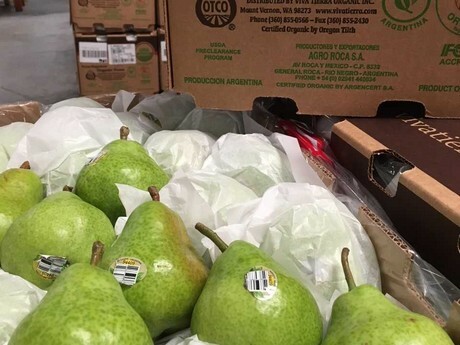 There is practically no commercial production in the United States, so US consumers have a chance to eat this pear typically only during the South American import season. It is also not imported in large volumes, having a relatively short window. "The Abate Fetel is long, banana-shaped and noted for its sweet, fruity flavor," McCaffrey described. "It is medium to large with a smooth russet over a yellow background, while the flesh is white and aromatic. Abates ripen at room temperature and are ready to eat when they give to slight pressure near the stem. They are available in the US from mid-March to mid-May and they tend to sell out quickly." "Retailers need to carry organic"
It's becoming more common for retailers to stock organic apples and pears year-round and it has been made possible thanks to the continuously increasing acreage. According to McCaffrey, this growth in acreage is occurring in every region and much of it is from growers transitioning from conventional to organic. "Every year, we are seeing more organic apples and pears being grown in both hemispheres," he observed. "In Washington alone, we are seeing increases of at least 20 percent each year and now the state ships some 15-20 Million boxes of organic apples each season. It's come to the point where consumer demand has meant retailers need to carry organic alongside conventional apples and pears." Viva Tierra has a typical assortment of packaging options for buyers, including 2lb and 3lb poly bags, 2lb pouches, as well as tray packs for apples and wrap packs for their pears. However, the company is currently working on updating their packaging design. "The pouch bags and consumer packs are a popular choice for consumers of apples and pears," McCaffrey shared. "In the spirit of following the seasons, Viva Tierra is currently working on completely refreshed bag designs for the upcoming South American and subsequent Californian seasons." 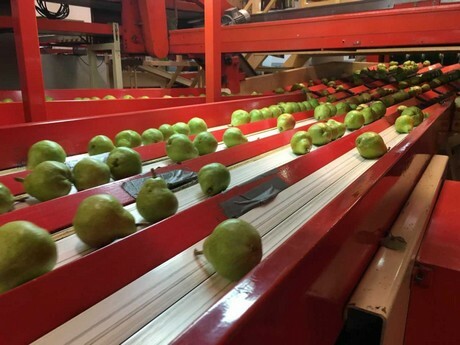 Viva Tierra's South American organic apple and pear program will run for approximately five months from March until the Californian pear season begins in mid summer.